Read a special holiday message from Archbishop J. Peter Sartain here. Read testimonies from homeless families and individuals who were helped because of YOU! The sting of homelessness is never more heartbreaking than for a child. Lack of routine and stability overshadowed by poverty, isolation and fear are the stunning realities for the homeless individuals and families we serve, especially for homeless children. 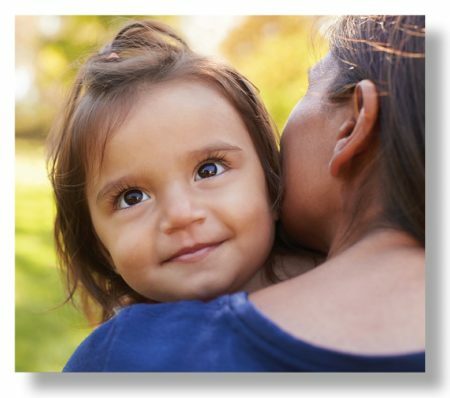 Every day, for the past century, your Catholic Charities network here in Western Washington has listened to the “cries of the poor” and responded with Christ’s call to feed, clothe, shelter, and counsel those in need of mercy. At no other time has our region experienced such a robust economy and at the same time seen more and more folks fall into poverty, despair, and homelessness. Each day, I see firsthand that despite all the positive impact we are having on those we serve, there is still a need for resources that will help us do more. Today, I personally ask you for a gift to our Centennial Appeal for the Poor. Now, more than ever, is a time to embrace the goodness and light that our Catholic Charities agencies bring to the suffering. In the past year alone, nearly 100,000 men, women, and children were welcomed and served regardless of beliefs. Your support is saving lives and providing far more than basic human needs but a path to permanent housing, employment stability, personal dignity, and renewed hope. A gift that will help us continue to hear the “cries of the poor” and respond with works of mercy. You have my promise to make each dollar stretch to maximum efficiency resulting in low overhead and high impact with 92 cents of every dollar spent going directly to assist those hurting and in need. Thank you in advance for your thoughtful consideration of a centennial gift that will surely help turn tragic tears into smiles of joy when Mom and her little one have a permanent place to call home. Make a gift in support of families in need in your community today.